Sal dit nie as ‘n prestasie beskou dat die ANC ‘n baie groot rol speel met die gebruik van hul mag binne die BRICS lande (wat Suid-Afrika insluit). En ‘n nog groter rol wat die Gupta ook in Suid-Afrika gekry het sedert hul die land ingewurm het net nadat die ANC die regering/land oorgeneem het. Die Gupta geraamtes gaan nog oral uitpeul uit verskeie lande en dit gaan nie net BRICS lande wees soos ons tans van bewus is nie. Dis so ironies – Ons konserwatiewe blanke volk, (en selfs ander gematigde etniese volksgroepe), Suid-Afrikaners pak nie af in enige BRICS land en gaan besteel hulle regering of burgers nie. Onlangs was daar jong blanke student selfs in tronke in China aangehou omdat sy daar wou gaan Chinese leer het en het nie die regte visa’s gehad nie. Daarteenoor, wys dit ons blankes hoe eensydig die regeringslui is om mense uit ‘n tronk uit China te kry. Wat is BRICS nou eintlik? Maar in SA is almal welkom, sellfs jong werkloses vanaf alle BRICS lande word hier in Suid-Afrika verwelkom om aansoek te doen vir werkgeleenthede, behalwe blankes in SA is nie welkom nie. Dus – eintlik is dit ons burgers wat die grootste skade ly, niemand anders nie. Hoeveel kon nie gebruik geword het om ons land op te hef met AL DIE KORRUPSIEGELD NIE – MAAR DIE GROOTSTE SONDEBOK, DIE ANC REGERING, WORD OOR DIE HOOF GESIEN HIER – waar is die wapenskandaal en hofsake heen? Niemand gaan mense kwalik neem as daar nog meer wrywings en selfs rassehaat gaan ontstaan nie. Dis nie net ongevoelig as enige een as immigrant die land binnekom en dan mag en vriende gebruik om hul eie sakke te bevoordeel en in die proses ook die helpers wat hul gehelp het. En dis hoogtyd dat ons ons eie onafhanklike gebiede verkry, ons het ‘n internasionale reg daartoe. Volg gerus hoe lank sloer al hierdie hofsake, en dit sluit alles in, moorde, aanvalle , geweld en protesaksies – baie keer hoor mens hier en daar die polisie het iemand gevang, maar waar is al die misdadigers heen? Letterlik alles eindig op in die regsgeding en elke keer kos dit geld om daardie regsbank in stand te hou. Hoeveel trustfondse word nie geskep nie? en hoeveel is al in die guns van ons blankes beklink. Oor swart bemagtiging is daar weinig of ooit ‘n hofsaak wat al ooit ‘n aanduiding was dat dit rasgebaseer is. Dieselfde patroon wat met swart bemagtiging gevolg is, volg ook nou met onteiening. Wie trek al die voordeel hier met al die hofsake en gevolge van korrupsie – hoeveel 15% VAT gaan aan die regering hier? Dit het ‘n domino effek op die ekonomie en verarm ons blankes veral. Die deler is netso skuldig aan korrupsie as die steler. Saam hiermee kom ook ander dinge soos die wapenskandaal waar daar nog meer mense bevoordeel is. BRICS en GUPTA beslis. 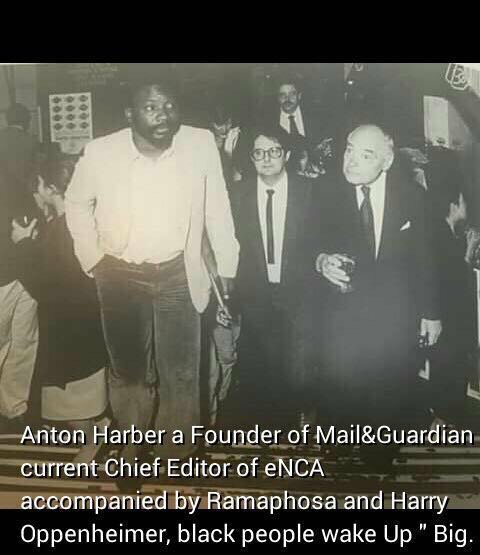 Die ergste is, daar word altyd in die media verkondig hoe sleg die blankes of apartheid was (1961-1994) en hardloop saam die regering in hul vals beskuldigings. Hierdie einste spul trek voordeel uit alles uit en projekteer hul eie sondes op ander wat nie verantwoordelik was vir hierdie sogenaamde apartheid stelsel nie. Feite is, daar is steeds trustgebiede en alle grondeise is gebou rondom aparte gebiede vir daardie volke, waar ‘n cpa geregistreer moet word. Titelaktes word weinig indien ooit aan diegene wat die grond bewoon, oorgedra. Apartheid kom uit die koloniale tydperk van britse beheer en het niks met ons of Verwoerd uit te maak nie. Vriendskappe met vandag se leiers, is lank voor 1994 al beplan en uitgewerk, sodat die land moet ondergaan en ons mense mekaar uitvermoor. Die GUPTA sage is nie onbekend nie, maar al die leiers is hierby betrokke. Oral is Oppenheimer ook in die “lig” van die tonnels. Liberales en monopolie wat beheer het oor minerale en myne. “Money goes to money”, as the old saying goes. That couldn’t be any truer than with this latest accusation against the Gupta brothers, who are alleged to have taken R122m from a Chinese loan to the government. As they report, correspondence shows that when the Chinese Development Bank (CDB) offered Transnet $2.5bn to finance new locomotives in 2014, the rail utility considered it too pricey and resisted taking it up. Now, we’ve not heard of this one before. When you’re involved with as much corruption as the Gupta brothers are, you have to get very inventive with what you call certain deals. Their R122 million kicker was based on their influence of getting the deal over the line. The 2014 deal is part of the infamous 1 064 Locomotives agreement that saw Transnet pay way over the odds for an abundance of train carriages. A year earlier, during a meeting between then-president Jacob Zuma and Chinese President Xi Jinping at the Union Buildings, CDB had pledged to help finance Transnet’s infrastructure plans, offering $2.5 billion to help bankroll the proposals. The deal was eventually concluded on 4 June 2015. Regiments Capital served as Transnet’s advisors over the transaction, and they are heavily associated with the Gupta family. It was in fact Regiments who received the success fee, but 78% of the R166 million figure went to unnamed “business development” partners. That turns out to be the R122 million we previously mentioned. New evidence strongly suggests that the remaining 75% was to be on-paid by Albatime to the Guptas’ Sahara Computers. In typical fashion, the Gupta-owned company then submitted a R122 million receipt to middleman “Albatime” under the premise of it being for IT work carried out by Sahara. However, a note on the transaction simply read “CBD”. They weren’t even trying to be clandestine at this point. A temple under construction in their home town of Saharanpur was allegedly used in Gupta money-laundering schemes. And while documents in the Gupta leaks claim that Badar and Grover are the sole funders of the temple’s construction, at least a portion of the donations was bankrolled by the Guptas themselves, making fools of Indian revenue authorities in the process. In this multi-part investigation, we consider how the Gupta family laundered money using companies set up in Dubai and India, freeing them up to fund the temple’s construction. To get the money into India, the Guptas needed a plan. The Gupta leaks show that Tony Gupta expressed an interest in establishing the family’s own religious trust early in 2014. The Guptas also discussed ways of transferring money out of the country with their auditors at the time, KPMG. “We also note there is a desire to investigate the feasibility of transferring funds offshore, especially to India, to be utilised as religious donations (as part of funding to build the temple in the vicinity of your home town in India) as well as for business purposes,” wrote Muhammad Saloojee, director and head of corporate tax at KPMG, on June 30, 2014. The three brothers had flown back on their private jet to start work on the temple, a 125-foot monument of pink sandstone and white marble that would tower over the tiny place where their father used to ride his bicycle to pray every day. The Guptas are now in self-imposed exile in Dubai, evading arrest in South Africa, where they stand at the center of a scandal that has already brought down the nation’s president and exposed sta ggering amounts of corruption in the once-legendary party of Nelson Mandela. Even here in India, the family’s legacy — so large that it has been elevated to myth — faces collapse. The new temple, dedicated to Lord Shiva in their father’s honor, is now being investigated for the same kind of self-dealing and fraud the family is accused of mastering in South Africa. Mr. Mandela’s election as president in 1994 set off a scramble by leaders in his party, the African National Congress, to amass wealth. The early ones succeeded through ties with rich white South Africans. Many others turned to the brothers from Saharanpur. The Guptas found eager partners at all levels of the A.N.C., from bureaucrats to a sitting president, Jacob Zuma, according to dozens of interviews by The New York Times, as well as government investigators, international auditors, emails from a Gupta company, financial records and court documents. They made one of Mr. Zuma’s sons a business partner, enabling them to buy a coal mine through government intervention and set up a media business that the president helped guide himself, according to officials, company emails and people involved in the ventures. The president responded in kind, handing them control over strategic cabinet selections and the boards of state-owned enterprises. The Guptas recruited other senior A.N.C. officials by giving them secret cuts of lucrative contracts from the state’s utility and rail companies, government investigators say. They acted as fixers for multinational companies, like the German software giant SAP, which paid them kickbacks in return for government business, documents show. Even in far-flung rural corners of South Africa, they found A.N.C. officials ready to divert money meant to help the poor. Now desperate to distance themselves from the brothers, A.N.C. leaders dismiss the family as a legacy of the tainted era of Mr. Zuma, who was ousted in February by his own party. But the story of the Guptas — who landed in the country a year before the end of apartheid in 1994 and left with Mr. Zuma’s fall — is also the story of South Africa under the A.N.C. The main agent of corruption was the party itself. A.N.C. leaders have siphoned off tens of billions of dollars meant to improve the lives of their most loyal supporters, poor black South Africans. They have crippled strong government agencies, like the national tax service, to benefit their own bank accounts. Some of the nation’s new leaders — the A.N.C. officials promising a new chapter for the country now that Mr. Zuma is out of office — have pocketed money intended for basic services, like schools. As with other outsiders, including big corporations like KPMG, the Guptas helped undermine the nation’s democratic institutions. And like generations of foreigners before them, they took their windfall out of Africa, moving it to Dubai and India through a maze of dubious, and at times illegal, transactions, officials say. They flew everywhere: across oceans in their own planes, to their own helipad here in Saharanpur, to Hindu temples in the Himalayas. And they became so powerful that they clashed with the Oppenheimers — the family that once owned the De Beers diamond company and the mining giant Anglo American — whose influence in South Africa had been unrivaled for a century. The Guptas’ intimate role in steering the nation helped set off an electoral revolt that has already cost the A.N.C. control over South Africa’s biggest cities and could jeopardize its hold on the presidency. From his self-imposed exile in Dubai, Ajay Gupta, 53, the oldest brother, denies all wrongdoing. As newcomers to South Africa, he said, he and his brothers have been turned into scapegoats. He points out that they face no criminal charges in South Africa, adding that their family empire is now bankrupt. But nothing angers him more than the temple. Far more than a gift to their hometown and a testament to their humble beginnings, the $28 million Shivadham Temple is now being investigated by the Indian authorities as the cornerstone of an elaborate scheme to launder “illicit money” from the Gupta fortune in South Africa. It all started with a few shirts. The father of the Gupta brothers, Shiv Kumar Gupta, owned a tiny shop that sold government rations, or subsidized food, here in Saharanpur. He was a pious, somewhat idiosyncratic man, who tossed bread to stray dogs from the basket of his bicycle on his way to the old temple every day, and he often spent nights meditating in its crematory. But he nurtured grand ambitions. One day, Mr. Gupta called over his oldest son, Ajay, to recount a newspaper article on the war between Iran and Iraq. The price of rice had skyrocketed there because, he told his son, all the traders had left the countries. In the 1980s, few people in Saharanpur left to seek their fortunes in places like China, Russia or South Africa. Most went to big cities like New Delhi, or to Britain or Canada. But to people who knew the family, the father’s mind-set reflected that of the family’s caste, the Banias, or traders. The brothers spoke proudly of their background, explaining why they were such good businessmen. In the years before and after the end of apartheid, South Africa, rattled by violence and political killings, seemed to be slipping into civil war. Many people with means, especially white South Africans, were packing into planes to London or Perth. But others — exiled South Africans and fortune-seekers — were flocking in. True to his father’s teaching, Atul settled in Johannesburg and sold shoes downtown. Then he started a company — Sahara, named after the family hometown — importing computer parts and assembling them for sale. And by chance, he made a personal connection to the A.N.C. that would prove far more consequential. During a trip home to India, Atul met a South African of Indian origin in New Delhi: Essop Pahad, the right-hand man of Thabo Mbeki, who was then Mr. Mandela’s deputy. In an interview, Mr. Pahad recalled that he had ordered some tailor-made Nehru-style shirts. But he had to return to South Africa before they were ready. Atul volunteered to pick them up and personally deliver them to Mr. Pahad’s office in Johannesburg. After that, they ran into each other at functions at the Indian consulate. By then, Ajay was head of the whole family. With their early ventures overseas, the Gupta brothers had found some success and bought their father his first car: a creamy white Contessa, the biggest made in India. But their father died a year later. Only Ajay made it back home in time to say goodbye. An hour before Mr. Gupta died, he gave his watch and ring to Ajay, who wears them to this day. With the responsibility of the family on his shoulders, he eventually moved everyone to Johannesburg. When Mr. Pahad finally met Ajay, he was immediately impressed. Ajay got the big picture in South Africa, and seemed to understand that there was a place in it for the Guptas. In fact, the opening was vast, and Ajay exploited it masterfully. In the late 1990s, as Mr. Mbeki prepared to become president, the A.N.C. government was worried about the enduring power of white South African businessmen and dependence on Western nations. Forging ties with countries like India and China could lessen their influence, Mr. Pahad said. Black South Africans had gained political power. But the white business elite, led by officials at Anglo American, had protected its own interests in the new South Africa. Long before the end of apartheid, Harry Oppenheimer, the head of the mining company, had led efforts to create — and co-opt, some historians say — a black elite. When Mr. Mandela was released from Robben Island in 1990, Anglo American executives visited him at his home in Soweto. Other businessmen followed, to Mr. Mandela’s delight, according to an authorized biography describing how he stayed at the estates of white tycoons and accepted gifts from them. Mr. Mandela was particularly close to Mr. Oppenheimer, who gave him money, said Michael Spicer, a former executive at the company. “Harry would say, ‘It’s important for the country that Mandela not be fussed with all of these problems,’” Mr. Spicer said. Mr. Oppenheimer put together a team of economic advisers for Mr. Mandela called the Brenthurst Group — named after the Oppenheimers’ palatial estate in Johannesburg. In meetings, A.N.C. leaders joined the country’s top white businessmen to set the nation’s post-apartheid economic course, Mr. Spicer said. Soon enough, Mr. Mandela, who had supported nationalizing the economy, endorsed pro-business policies. Some historians argue that the policies contributed to South Africa’s income inequality, and to an economy still based on cheap black labor. But after becoming president, Mr. Mbeki moved to dampen the power of white businesses. He created his own group, which met at his residence each month, Mr. Pahad said. It included cabinet ministers, top businessmen, rising stars in the A.N.C. and an unknown figure: Ajay Gupta. Ajay said he enjoyed the meetings. Mr. Mbeki sometimes even dropped by for lunch. Only a few years after settling in South Africa, Ajay had forged links to the highest levels of the A.N.C., thanks to his friendship with Mr. Pahad. Mr. Pahad said that he had appointed Ajay to the group to help build ties to India, but that he had asked nothing of the brothers. After leaving government, however, Mr. Pahad acknowledged receiving favors from the family, including a loan of about $140,000 for a house, seats on the boards of two Gupta companies and help in starting a magazine. As the brothers’ ties to the A.N.C. strengthened, their businesses began flourishing. In the early 2000s, they got their first big break: They won a large government contract to set up computer laboratories in schools in the nation’s richest province. Then they went on a buying spree, acquiring a struggling information technology company that helped them become one of the biggest computer distributors in South Africa. They later bought a uranium mine, a steel manufacturer and other businesses. By the time Ajay was invited to join a separate advisory group — this one established by the Oppenheimers’ foundation — he had a private plane, an eight-seat Hawker, said Mr. Spicer, who once hitched a ride aboard it. Even as the Guptas thrived off their ties to Mr. Mbeki’s allies, they were reaching out to his archrival, Mr. Zuma, the No. 2 in the party. The two leaders fought bitterly. So Mr. Pahad, Mr. Mbeki’s right-hand man, was surprised to learn that the Guptas had cultivated ties with the other side. “They were having some function at their home, and Ajay said to me, ‘Do you mind if we invite Zuma?’” Mr. Pahad recalled. Money was an unspoken dynamic in the battle between Mr. Mbeki and Mr. Zuma: Who in the A.N.C. had gotten rich since the end of apartheid? And, perhaps more important, who had not? Mr. Mandela and some others — including South Africa’s current president, Cyril Ramaphosa — became wealthy, in part through connections to white business leaders. During Mr. Mbeki’s tenure, his allies got their chance, often by directing the course of the country’s Black Economic Empowerment policies, which required white businesses to take on black partners. So when Mr. Zuma became president in 2009, it was his faction’s turn. But Mr. Zuma, plagued by personal and political scandals, was distrusted by the white business establishment. And more than a decade after apartheid, many white businesses felt they had done enough to help — a sentiment that angered people close to Mr. Zuma. One path to riches was still clear, though: government coffers. The Guptas hired or became business partners with the sons of powerful A.N.C. politicians, like Mr. Zuma’s son Duduzane, and Tshepiso Magashule, the son of Ace Magashule, the party’s current secretary general. The politicians’ sons flew first class to Dubai and India, staying in the best rooms at high-end hotels, all at the Guptas’ expense, according to emails from a Gupta-owned company leaked to South African news organizations and examined by The Times. One December, they joined the Gupta family on an extended vacation to Delhi, Dubai, New York and Venice, the emails show. Tony also took the lead in pursuing business in Free State Province, where corruption had flourished under Ace Magashule, its leader at the time, A.N.C. officials said. In an interview, Mxolisi Dukwana, then Mr. Magashule’s provincial minister of economic development, recalled how he and his boss went to visit Tony in Johannesburg. The president’s son, Duduzane, was also there, he said. Tony asked Mr. Dukwana to endorse a large-scale development project in the province, promising him a monthly cut, Mr. Dukwana said. Tony added that he and the other two men in the room had a similar arrangement in a mining project, Mr. Dukwana said. He recounted Tony’s saying that he “personally gave” monthly payments of about $71,000 each to Mr. Magashule and to the president’s son. “Then he asked them, ‘Have I ever failed you?’ And they both said no,” Mr. Dukwana said. The three of them — Tony Gupta, Duduzane Zuma and Mr. Magashule — declined interview requests. Mr. Dukwana said he turned down the offer and thought he would never see Tony again. But a few years later, after Mr. Dukwana had left government, he said Tony invited him to Johannesburg. He sensed that Tony was hedging his bets — leaving open the possibility of a future relationship. According to witnesses in the government inquiry into the Zuma years, the Guptas had a say in choosing ministers, or even offered positions to candidates directly. When Mr. Zwane was appointed Mr. Zuma’s mining minister in 2015 — one of the most important positions in the government — other politicians and industry officials were taken aback. He had been unknown on the national stage, and had no experience in mining. But the Guptas knew him well. As agricultural minister in Free State Province, he had spearheaded a dairy project that, instead of helping poor black farmers, enriched A.N.C. politicians and their business allies. The Guptas, who had a stake in the project, sponsored a trip to India for Mr. Zwane and his church choir, according to the Gupta company emails. They paid for his first-class flight to Dubai and his stay at a five-star hotel. Then, as soon as he became mining minister, Mr. Zwane went to extraordinary lengths to help the brothers land a mining deal. The Guptas, along with Mr. Zuma’s son as their business partner, had been trying to buy a troubled coal mine from Glencore, the Swiss commodities giant. Glencore had rejected the family’s offer until Mr. Zwane, as mining minister, got directly involved. In Zurich in late 2015, Mr. Zwane and Tony Gupta met with the head of Glencore and persuaded him to sell the mine to the Guptas. After the meeting, Mr. Zwane flew out on the Guptas’ private jet, according to the Gupta company emails. A Glencore spokesman declined to comment. Mr. Zwane’s trip was an effort to “unfairly and unduly influence a contract” for the president’s son, according to a report by the Public Protector’s office, a government body that investigates corruption. But Ajay Gupta denied any “interference by Zwane.” He said that his brother Tony had happened to be in Zurich on vacation and joined the meeting with Glencore. “It was a coincidence that my brother was there,” Ajay said. In an interview, Mr. Zwane also denied improper ties with the Guptas, declining to answer questions about his trip to Zurich. But the relationship was so close that a Gupta employee coached Mr. Zwane after he was appointed minister, the leaked emails show. Days before Mr. Zwane was scheduled to address the South African news media, an executive at a Gupta company sent an email with detailed advice. Duduzane Zuma, the president’s son, also helped the Guptas expand beyond mining. They started a newspaper and a television news station, ANN7, that thrived on government advertising, which their political connections easily secured. In meetings that Mr. Sundaram attended with the Guptas and the president, Mr. Zuma was intimately engaged in the network’s launch, giving advice on everything from the background set for news presentations to the tone of the coverage, he said. At one meeting, the president expressed satisfaction with video of a rival politician getting out of a helicopter because it made him look “corrupt,” Mr. Sundaram said. “We’re not fools to put all our eggs in one basket,” Mr. Sundaram recounted Atul saying. Atul Gupta and Mr. Zuma declined to be interviewed. As the Gupta brothers prospered, they flaunted it. They enlisted a top Bollywood actor, Anil Kapoor, to produce a 2007 movie they financed, “Gandhi, My Father,” touching on Gandhi’s time in South Africa. Both Mr. Mandela and Mr. Mbeki publicly showered the Guptas with praise. In Saharanpur, the brothers invited 2,000 guests for the groundbreaking of the temple in their father’s memory. Among the big names was a close family friend, Baba Ramdev, the most powerful guru in India, often credited with helping bring Prime Minister Narendra Modi to power. In 2016, with a fortune conservatively estimated at $800 million, the Guptas were South Africa’s seventh-richest family — the only nonwhite family in the top 10. But two events — both, as it turned out, related to planes — contributed to their undoing. “They needed to shout from the roof, ‘Hey, we have arrived,’” said Amar Singh, a political figure in the Guptas’ home province in India. But the brothers miscalculated. Using their political connections, they landed the plane near Sun City — at a military base. Its use by a private family set off a government inquiry, turning the Guptas into a favorite target of opposition politicians eager to expose corruption under Mr. Zuma. Ajay Gupta said he followed the rules to get permission and did not regret the lavish wedding. “After that, we hand over the girl to the other family,” Mr. Gupta said, tears welling in his eyes. The Oppenheimers had sold their shares in Anglo American and De Beers for billions. The heirs to the fortune — Nicky Oppenheimer and his son Jonathan, both passionate aviators — opened an ultraluxury private terminal in Johannesburg’s main airport in 2014, with fine dining and a gallery with art for sale. 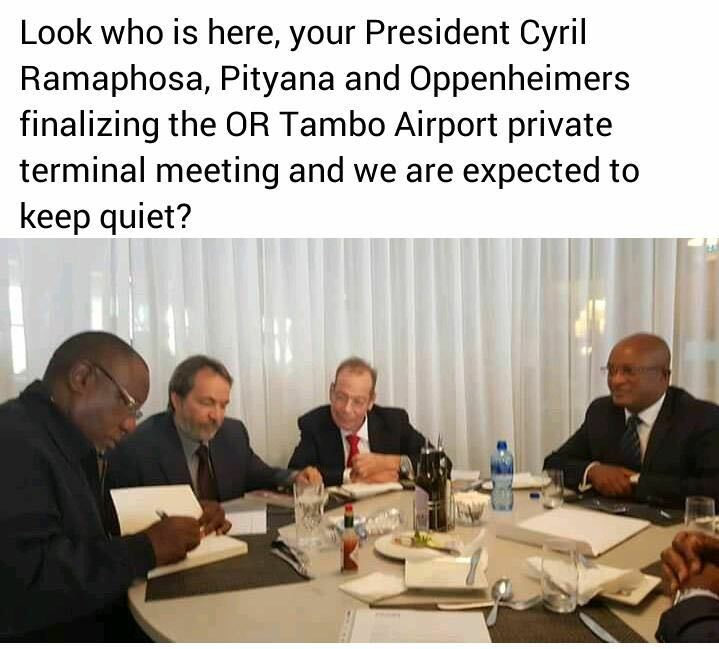 But the Oppenheimers couldn’t get permission to handle international flights. Despite countless letters and calls to A.N.C. officials, the Oppenheimers were getting nowhere. Eventually, they sued the government, accusing the Guptas of using their political influence to stall the business. The brothers, the Oppenheimers said, wanted in on the terminal. The last straw was another appointment: In late 2015, Mr. Zuma chose an unknown lawmaker — considered close to the Guptas — as finance minister. Alarmed, the business establishment and its A.N.C. allies struck back, forcing Mr. Zuma to remove the minister after only four days. With the Guptas increasingly shut out of South Africa’s economy, an Indian bank handed them a lifeline. For more than a decade, the Guptas had fostered relations with the South African branch of the Bank of Baroda, India’s second-biggest national bank. When the bank’s chief executive in South Africa asked for an internship for his son, the family obliged and even sent a round-trip ticket, according to the Gupta company emails. When the bank’s employees needed help getting work visas from the South Africa bureaucracy, the Guptas obliged. After South Africa’s banks cut ties with the Guptas, Baroda continued to do business with the brothers. Its chief executive in South Africa issued a letter of support when the Guptas moved to buy the coal mine from Glencore — without telling his superiors in India. In an interview in Mumbai, the bank’s chief executive, P. S. Jayakumar, said branch employees did not collude with the Guptas. 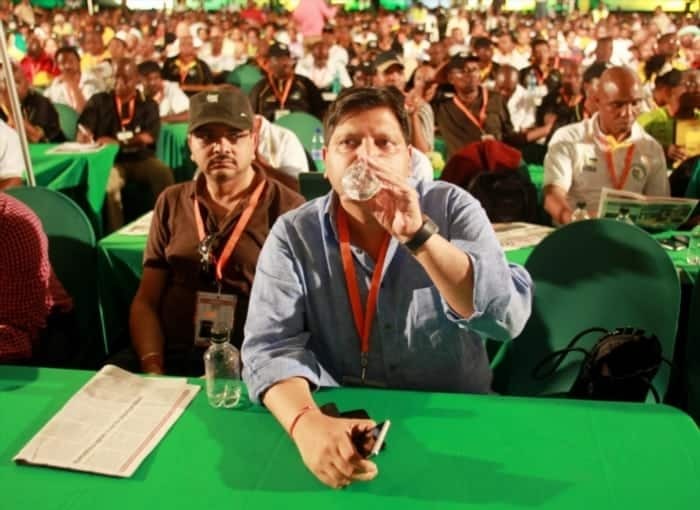 But an investigation by the South African Reserve Bank, the nation’s central bank, found that Baroda’s internal systems had flagged about 4,000 suspicious transactions in the Guptas’ accounts. Employees dismissed nearly all of the alerts “without adequate reasons being provided,” according to a confidential report by PwC, the international auditing firm, that was reviewed by The Times. Baroda announced this year that it would leave South Africa, but said the decision was unrelated to the Guptas. Here in Saharanpur, questions also emerged around the family’s temple. A separate series of complicated bank transfers — intended, experts say, to hide the source of the money — was financing the construction, according to the Gupta company emails. Pressure from South Africa drove the Indian authorities to investigate. Officials raided the Guptas’ properties in Saharanpur, saying they had information that the family had brought “illicit money” to India. “How and from where has the money come?” Amrendra Kumar, a provincial tax official, asked reporters. The Guptas were getting nervous. Their most powerful ally, Mr. Zuma, was scheduled to step down as the A.N.C.’s leader in late 2017. The brothers would soon find out whether they had eggs in more than one basket. The race to succeed Mr. Zuma was tight. His former wife Nkosazana Dlamini-Zuma appeared to have a slight edge over her rival, Mr. Ramaphosa, the favorite candidate of the business establishment. Mr. Dukwana, the former official in Free State, said that right before the party election he got a call from Tony Gupta, who had given him gas money at their last meeting. Sounding “bubbly,” Tony told him he was calling from Dubai, Mr. Dukwana said. “They needed some friends,” Mr. Dukwana said. Everything might have worked out for them had Mr. Zuma’s ex-wife won. But one of her supporters, David Mabuza — who had become a kingmaker by diverting government money to finance his political rise — flipped his votes at the last minute, handing Mr. Ramaphosa a slim victory. Mr. Zuma technically had more than a year left as South Africa’s president. But it became clear he would be forced out much sooner. South Africans, predicting the end of the Guptas, began tracking the family’s prized Bombardier Global 6000 jet as it traveled to Dubai, Russia, Switzerland and elsewhere. Ten days later — on the day Mr. Zuma finally gave up and resigned as South Africa’s president — law enforcement officials raided the Gupta estate in Johannesburg. The message was clear: It was over for the Guptas. Speculation spread that Ajay Gupta had fled aboard his private jet. A South African pilot, who had supposedly refused to take off, briefly became a hero on Twitter. But they were just rumors. In fact, most of the family and their private jet were already in India for a wedding, Ajay said. And on Feb. 6, as the battle in the A.N.C. raged, Ajay boarded an Emirates red-eye flight to Dubai, airport officials later confirmed. On his last flight out, Ajay said, he kept to his normal routine, avoiding meals and movies. He closed his eyes and drifted off. Outside it was cloudy and windy. The plane banked north and flew up the continent’s eastern coast, taking him out of Africa. First they heard about the spies. Then they heard about the secret brothels and the private planes. And the whole time, they were hearing about the assassins. The details exposed in South Africa’s corruption scandals have upended the country’s perception of the governing party, the African National Congress, threatening its decades-long control of the government. A generation after the end of apartheid in 1994, black South Africans are still mostly shut out of the country’s economic opportunities, while A.N.C. officials have enriched themselves largely through government contracts. Since the end of apartheid, leaders of the A.N.C. have benefited themselves and their allies, siphoning off tens of billions of dollars of public funds meant to improve the lives of black South Africans. In a case emblematic of the widespread corruption, a failed plan for a dairy farm controlled by landless black farmers lost $21 million of public funds, but still managed to enrich South African elites. The South African Revenue Service, the country’s tax collection agency, was once a showcase of good governance, and the country’s increasing tax revenue was a barometer of support for the young South African democracy. It has since been gutted by former president Jacob Zuma in an effort to avoid paying his own taxes, with the help of auditing firm KPMG. As public trust erodes, so do tax revenues, and the A.N.C.’s remedy is expected to hit poor South Africans hardest. In 2015, the famed consulting firm McKinsey & Company signed on to what would become its biggest contract ever in Africa: a deal to save Eskom, South Africa’s state-owned power company. The deal was illegal, and the partnership only lasted for eight months, but Eskom still paid out $100 million in public funds as electricity prices rose. When Cyril Ramaphosa took office as South Africa’s president, he promised of a “new dawn.” This promise is being undermined by his deputy president, David Mabuza, who has left a trail of corruption in the wake of his meteoric rise within the A.N.C. Under his leadership, children drowned after falling into dilapidated school pit toilets and millions of dollars in education funding disappeared. In July 2017, Sindiso Magaqa was ambushed by gunmen and murdered after accusing A.N.C. officials of pocketing millions of dollars intended for a building renovation. He’s one of nearly 90 victims of political assassinations in South Africa since 2016, a sharp rise over previous years. In most of these cases A.N.C. members hired hit men in a fight over money and power and to keep their vast corruption a secret. The three Gupta brothers came to South Africa seeking opportunities, and in their 25 years there, they went from selling shoes to showing off their private plane. From large multination corporations that paid them for access, to A.N.C. officials who diverted money meant for the poor, the Guptas were able to find willing partners throughout the country. When their corruption could no longer be ignored, they left, and like so many foreigners before them, took their windfall out of Africa. Early in 1994 Nelson Mandela presided over a meeting of the executive committee of the African National Congress. South Africa’s first fully democratic elections were going to be held in April, the A.N.C. was clearly going to win and the issue on the table was: what should the position of the new government be on the delicate question of the country’s national anthem? The existing anthem was clearly unacceptable. ”Die Stem,” a somber martial tune, celebrated the triumph of the Afrikaner trekkers as they drove upward through South Africa in the 19th century, crushing indigenous resistance. The unofficial anthem favored by black South Africans, ”Nkosi Sikelele,” was the richly soulful expression of a long-suffering people yearning to be free. Today, and ever since Mandela became President following the A.N.C.’s enormous victory in the 1994 elections, South Africa has two anthems, always played in succession at official ceremonies: ”Nkosi Sikelele” and ”Die Stem.” The issue of the anthem was all about generating a national mood, persuading people politically by touching their hearts. Mandela’s colleagues capitulated because they knew he had a special acumen for this art — they had long ago come to accept that ”the old man” was far more skillful than any of them in the craft of political symbolism. A facet of Mandela the politician that is often obscured by Mandela the myth is that he is, in Anthony Sampson’s phrase, a master of imagery. This is a quality all the more remarkable in that he is most certainly not a master of oratory. Next to him Al Gore is Shakespeare’s Mark Antony in full flow. But in all other respects Mandela’s carefully honed charm and talent for political theater are every bit as sophisticated, Sampson suggests, as that of the Great Communicator himself, Ronald Reagan. A Canadian bank has won a court bid to have the Guptas Bombardier Global 6000 grounded after the controversial family failed to meet their end of a lease agreement. On Monday, the South Gauteng High Court in Johannesburg ordered that the aircraft be stored at the Lanseria Airport in Gauteng. This after Export Development Canada (EDC), brought the application regarding the jet valued at $52 million (R626 million). EDC and the Guptas are currently involved in a court dispute in the UK over the lease agreement and the bank had asked the High Court to ground the plane and store it in a safe place where it cannot be used by the family, pending the final outcome of the legal battle. The Guptas had purchased the Bombardier Global 6000 with the help of a $41 million(R492 million) from Canadian export credit agency. Following the court order, the family and their business associates will now have no access to the aircraft as they were indicted from using it. The Bombardier Global 6000, ZS-OAK, had reportedly gone missing after its tracking device was switched off after EDC terminated their lease agreement over non-payment. The Guptas implication in state capture, as well as allegations of corruptions and fraud relating to the Vrede Dairy project had also played a part in the bank cutting ties with the family and seeking intervention from a South African court. EDC’s legal counsel, Alfred Cockerell, expressed his clients fears that the aircraft could also end up seized by the Asset Forfeiture Unit (AFU), who had already had R10 million frozen from Atul Gupta’s personal bank account. “Every day that the Guptas use the aircraft unlawfully is a risk,” said Cockerell. Atul however had a little victory at the Free State High Court earlier this month, as Judge Fouche Jordaan ruled that the money be unfrozen. The jet belonged to South Africa’s notorious Gupta family, whose alleged corruption helped trigger the scandalsthat recently forced President Jacob Zuma out of office. But the Guptas bought the plane with help from a $41 million loan from Export Development Canada, or EDC, Canada’s state-owned export-import bank. EDC was helping Bombardier Inc., the Canadian aerospace firm, land the jet sale. But that turns out to have been a poor bet: EDC now says the family defaulted on the loan in October and still owes the bank $27 million. And with an arrest warrant outstanding for Ajay Gupta, one of three brothers in the family, there are other worries, too. “There is a very real concern that the aircraft may be used to escape justice or for some unlawful means,” wrote EDC in a recent application to a South African court seeking permission to ground the jet. But EDC first has to find the plane; the Guptas made the plane’s location data private after EDC sought the jet’s exact whereabouts in a court filing. The disappearance of the plane is noted on FlightAware, a website that allows the public to track the location of planes around the world. “This aircraft (ZS-OAK) is not available for public tracking per request from the owner/operator,” the site says. The plane has been spotted in recent weeks at airports in India, Russia and Dubai. Ehsan Monfared, a Toronto aviation lawyer, says that the case is unusual. Most people or entities who buy business jets of that size and value don’t have credit issues, and banks like EDC make sure they’re well protected. EDC, for its part, insists it performed due diligence on the Guptas. Phil Taylor, a spokesman for EDC, said that the bank’s motion seeking to ground the aircraft is due to be heard in Johannesburg on March 6, but he declined to comment further. A separate court case is also underway in Britain. An effort to contact the Guptas through their London law firm was not successful.